Tony Award nominated singer & actress Judy Kuhn - the singing voice of Pocahontas in Pocahontas and Pocahontas II: Journey to a New World - is born in New York City. She also had a cameo in Disney's 2007 Enchanted (as did several actresses who played characters in Disney films). open at the Magic Kingdom in Florida. festivities include Tom Sawyer and Becky Thatcher portrayed by teenagers Steve Pierceall and Becky Bleigh. Gilbert Gottfried returning as the voice of Iago. It is Disney's first ever direct-to-video sequel. features Fantasia Gardens - an 18-hole miniature golf course, and Fantasia Fairways - an 18-hole "challenge" course designed with strategically placed bunkers and hazards. Disneyland hosts the official homecoming of Army Staff Sergeant Andrew Ramirez, Staff Sergeant Christopher Stone, and Specialist Steven Gonzales. It is the first time the three U.S. soldiers, who had been captured by Serbian forces on March 31, stand on American soil since their release from captivity. The Disneyland Pirates of the Caribbean Celebration is held inside the Main Street Opera House, to celebrate the 33rd anniversary of one of the most popular rides at the park. Special guests include Harriett Burns, the very first woman hired as an Imagineer. Also released is Disney's 20,000 Leagues Under the Sea Special Edition DVD (with rare bonus features) and the direct-to-video Atlantis: Milo's Return. Walt Disney Records releases Finding Nemo Soundtrack featuring the music of composer Thomas Newman. World's Disney-MGM Studios theme park. Celebrity guests include Daniel Logan & John Goodson. The Wonderful World of Disney airs "The Muppets' Wizard of Oz"
series titled "Masterworks of Modern Architecture." from complications due to pneumonia, at her home in Flintridge, California. She is 87. Disney lot that she first met Ollie! Rolie Polie Olie is awarded Outstanding Special Class Animated Program at the 32nd Daytime Emmy Awards (held at Radio City Music Hall in New York City). were created specifically for the tour by famed movie car creator and customizer Eddie Paul. oscillator (an electronic test instrument used by sound engineers) based on a design developed by Hewlett. feature Fantasia. The success of these and other devices like it helped set the stage for Hewlett-Packard's future. in the Disney Cruise Line. of the Missouri tourist attraction (and is considering St. Louis as the location for his next "Disneyland"). Actress Sierra Boggess, the original Ariel for Disney's Broadway musical The Little Mermaid, is born in Denver, Colorado. The Walt Disney Company announces that it will contribute $1 million in humanitarian aid to the victims of the recent earthquake in China. The donation will be put towards acquiring materials for immediate relief efforts, helping and supporting displaced and distressed children and rebuilding damaged schools. In addition, Hong Kong Disneyland Cast Members, as well as Disney’s China, Hong Kong and Taiwan-based employees, have made individual monetary contributions. Disneymania 6, the sixth installment in the Disneymania series, is released. The CD features performances by such artists as Colbie Caillat ("Kiss the Girl"), Drew Seeley ("You'll Be in My Heart"), Kate Voegele ("When You Wish upon a Star") and Plain White T's ("When I See an Elephant Fly"). This day's edition of Amusement Business features a cover story on the recently opened Pirates of the Caribbean in Disneyland. President, yet, if he escaped hanging." Opening in U.S. theaters on this day is Pirates of the Caribbean: On Stranger Tides, the fourth installment in the Pirates of the Caribbean series. 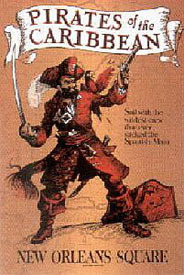 Captain Jack Sparrow (Johnny Depp) is joined by Angelica (Penélope Cruz) in his search for the Fountain of Youth, confronting the infamous, real-life, legendary pirate Blackbeard (Ian McShane). attraction also features 3 judges ... all industry professionals who knew what it took to have that "star quality." Disney closed AIE in August 2014.
and the 60th anniversary of Disneyland. The Legacy Collection: Disneyland is the 8th (of what will be 14) in the series.